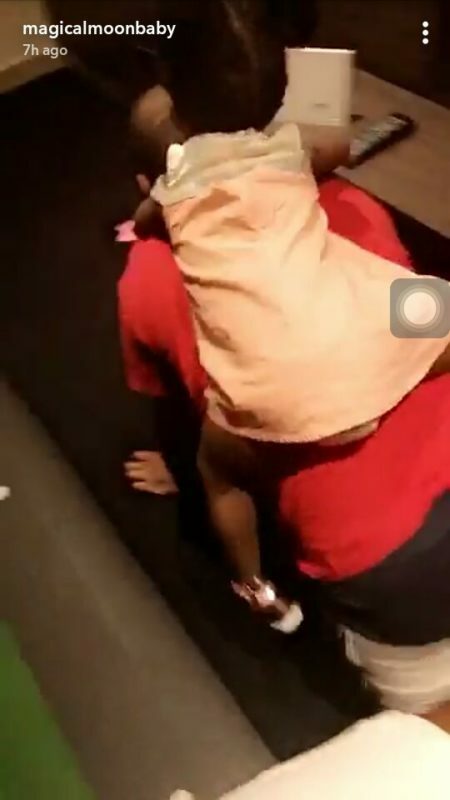 DMW Boss, Davido is taking fatherhood seriously. 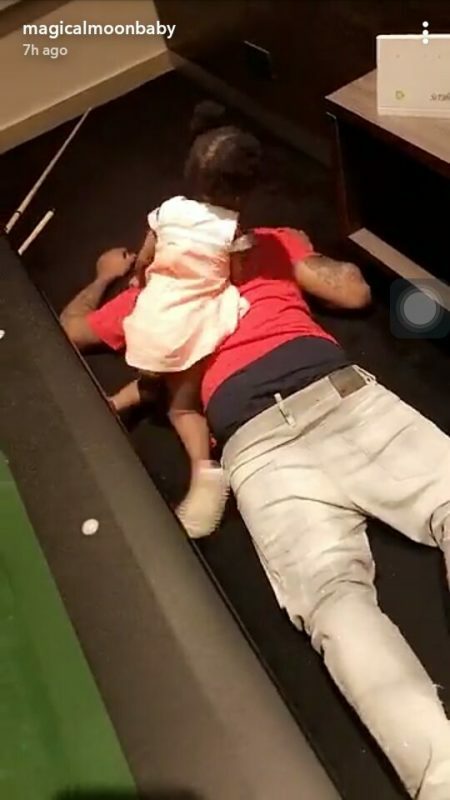 Photos of him and her daughter was shared on the internet having fun time together. 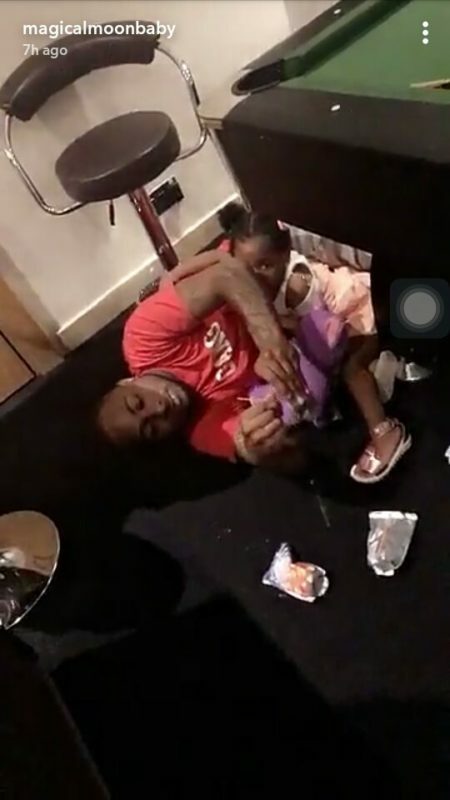 This is after the success of his sold out show on Wednesday, Davido hung out with his daughter at home. 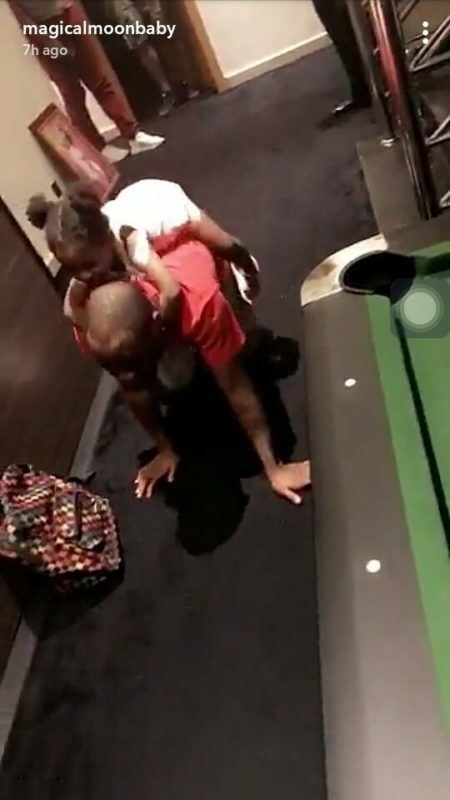 Sophia his first babymama shared videos of Davido creeping with Imade on his back.